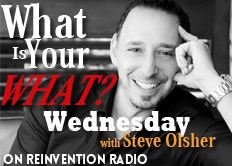 Steve talks about The Vitality Curve (found in What Is Your WHAT? Discover The One Amazing Thing You Were Born To Do) and how it relates to Jack Welch breaking down employees into groups. He then poses the question to Mary and Wade… can you create a vitality curve for your life?